Is an imposter robbing you of God's love? Many Christians have bought into the lie that we are worthy of God's love only when our lives are going well. If our families are happy or our jobs are meaningful, life is a success. But when life begins to fall through the cracks and embarrassing sins threaten to reveal our less-than-perfect identity, we scramble to keep up a good front to present to the world - and God. We cower and hide until we can rearrange the mask of perfection and look good again. 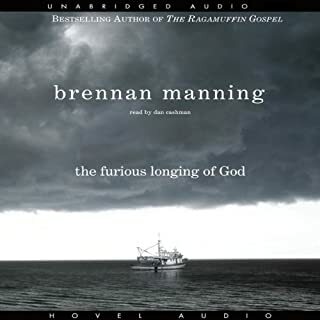 The Furious Longing of God is the latest tour de force from beloved author and ragamuffin, Brennan Manning. Hold on tight as you discover the most powerful force in the universe: God's furious longing for you. There is nowhere God won't go to find us. No country too distant. No terrain too treacherous. No risk too great. It is a Father's search for His lost son, His lost daughter. And there are no boundaries to where His love will take Him in order to find us, embrace us, and carry us home! 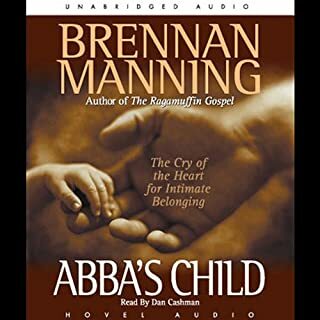 Brennan Manning has been dazzingly faithful in preaching and writing variations on the ragamuffin theme, Yes, Abba is very fond of you! But today the crowds are gone and the lights are dim, the patches on his knees have faded. If he ever was a ragamuffin, truly it is now. In this his final book, Brennan roves back his past, honoring the lives of the people closest to him, family and friends who've known the saint and the sinner, the boy and the man. Far from some chronological timeline, these memories are witness to the truth of life by one who has lived it. This book is a series of remembrances that Brennan recorded in the late 1970s. But as with all good remembrances, they have a timeless quality and a value for listeners today. Many of the themes that God has made the indelible marks of Brennan’s life are found in this wonderful book. Dominant among those themes is the astonishing, boundless love of God for us. In this warm and charming three-part story, Willie Juan moves from orphaned boy to prodigal adult to ragamuffin friend of Abba. As with any parable, there is one overarching truth: the unconditional love of God. Patched Together is a charming retelling of the Gospel story of forgiveness, acceptance, and joy in God's friendship. In 1997, the world was rocked with the news of Rich Mullins' passing. Christians everywhere paused their lives to mourn the loss. Radio stations paid tributes. Newspapers dedicated articles. Friends, family members, fans, and fellow musicians came together to remember this man that had impacted their lives. I was with my family when I heard. I was standing in our driveway. It seemed strange, because just a few hours prior, I saw Rich Mullins alive, leaving our house. A Furious Love Is Hot on Your Trail! 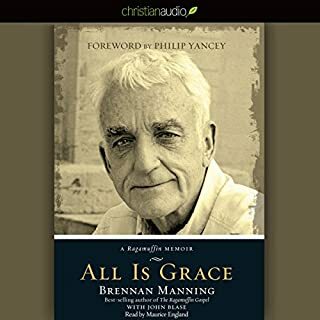 In this new edition - now with a foreword by Michael W. Smith, testimony by Rich Mullins and the author's own epilogue, "Ragamuffin Ten Years Later," Brennan Manning reminds us that nothing could be further from the truth. The Father beckons us to Himself with a "furious love" that burns brightly and constantly. Only when we truly embrace God's grace can we bask in the joy of a gospel that enfolds the most needy of His flock - the "ragamuffins." Wait a minute. What’s wrong here? 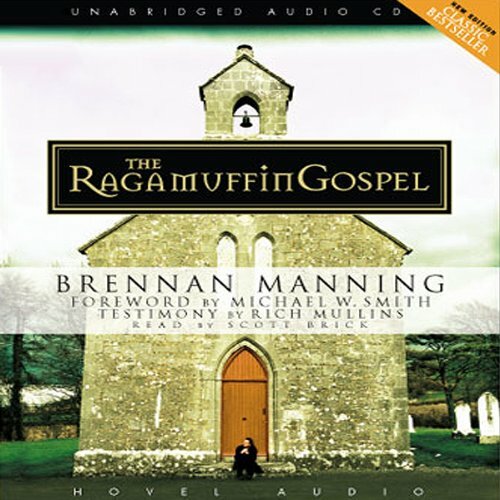 I just finished reading THE RAGAMUFFIN GOSPEL, Brennan Manning’s intensely intimate sharing about God’s unconditional love for “sinners” – the broken, the lost, the bedraggled, the hopeless, the burnt-outs and the cast-offs – and found myself wondering why he is the target of such attacks. After all, I consider RAGAMUFFIN as a life-changer, and am anxious to reread it and experience chapter 19, “Mercies: A Spiritual Retreat.” Surely this man is not the heretic portrayed by Dr. Gary Gilley. “Born and raised in Depression-era New York City, Manning finished high school, enlisted in the US Marine Corps, and fought in the Korean War. When Manning returned to the United States, he enrolled at Saint Francis University in Loretto, Pennsylvania. Upon his graduation from the seminary in 1963, Manning was ordained a Franciscan priest. “In the late 1960s, Manning joined the Little Brothers of Jesus of Charles de Foucauld, a religious institute committed to an uncloistered, contemplative life among the poor. Manning transported water via donkey, worked as a mason's assistant and a dishwasher in France, was imprisoned (by choice) in Switzerland, and spent six months in a remote cave somewhere in the Zaragoza desert. Oh … so Manning does seem to be hornless, responsible, even loving. Apparently Dr. Gilley is one in an opposition army that sees Manning as a threat to the stale Christianity of business as usual. But the former priest’s impressive bibliography of twenty-two bestselling books is, perhaps, indicative of a militia sustaining the same if not greater strength. People don’t buy books simply because they are decorative. The thesis of THE RAGAMUFFIN GOSPEL is that God’s love for all of us is relentless … intensely raging through Jesus Christ who unabashedly loves us ragamuffins. This Jesus accepts us just as we are – sins, warts, blemishes, ugliness, sexual darkness, disobedience, and every other brokenness to which mankind is prone. He invites himself to our dinner table, and in turn insists on eating at ours. He calls the worst of us to accepting the truth that we are his beloved, and fanatically insists that nothing can ever change that. He tells us that the source of this immense and accepting love is the grace of his Father and not the man-made country club rules that stink of rejection. He is constantly throwing dinner parties for us, seating us at the best places … and he never stops saying, “I love you. Do you love me?” He urges us to lay our head on his shoulder. Yes, the Jesus of the four gospels is the Jesus who can do all things- all things except one: stop loving his ragamuffins. He says to us, “My grace [love] is sufficient for you,” and we respond to this transforming love by developing a passionate need to be just like him, giving away healing love without charging for it, sucking up the reality of our acceptance and newness in him, and loving every single minute of it. The country club set – those walking refrigerators who insist on strict adherence to their admission rules before outsiders can even darken their doors – have more need of a ragamuffin gospel than anyone. Open those refrigerator doors and you will see shelves neatly packed with containers of food and drink. Sadly, most of them are stamped with an expiration date long past. “Sitting in bold relief on a navy-blue sofa in my office is a little polka-dotted rag doll. Over the last ten years, the ragamuffin mystery has laid hold of me with uncommon power. After long hours of prayer and meditation on the Scriptures and reflections on the nagging question ‘Who am I?’ a gracious God has given me the light to see myself as I really am. I now have a primary identity and a coherent sense of myself. It affects my intimacy with God, my relationships with others, and my gentleness with myself. Would you listen to Ragamuffin Gospel again? Why? 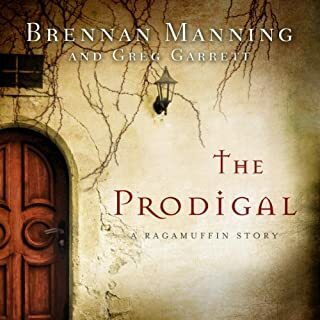 I would listen to Ragamuffin Gospel again because it challenges the mind to process why someone live a Christian life and how it really affects one's character by pondering the magnificane of the love of God. What other book might you compare Ragamuffin Gospel to and why? I would compare Ragamuffin Gospel to Mere Christianity by C.S. Lewis. These books have a clear, strait forward, message that is very captivating for the analytical mind. God becomes more alive and real than in any other book a part from the Bible. All the fluff has been cut out and one is left to read direct thinking. What aspect of Scott Brick’s performance would you have changed? Nothing the content needed someone who could covey this strait forward thought without a listener getting lost is a sappy tone of voice and vocal inflections. Yes, I could not turn off the player. I almost listened to it in one setting. It is some good insightful stuff!!! What made the experience of listening to Ragamuffin Gospel the most enjoyable? It was a favourite of a late pastor friend so as I listened I sensed his presence. He read very well and I would listen to him again. The main point is that each and every one of us is special to God. I think it's something one can't hear enough which is why I've listened to this twice already! I'm one of those people who hates reading but on the contrary I have my iPod glued to my hand. 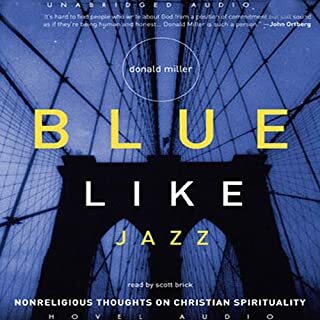 Having this audible book was/is amazing! I would have missed out on a lot if this weren't available due to my laziness! 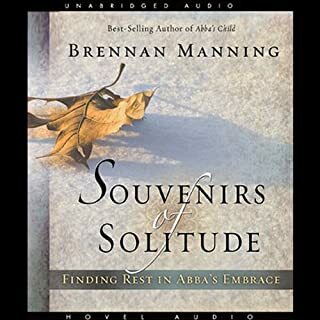 I recommend this book to anyone; Brennan Manning is awesome and gave me a new and greater meaning of God's grace. I can't say enough good things about it. I will be recommending it to everyone I know. Love love love. Soak in the truth ! Caution powerful, life changing words and truths presented here. Life changing for those who are willing to be brutally honest with themselves and God. He loves you! Would you try another book from Brennan Manning and/or Scott Brick? Brennan Manning has a wonderful way with words, and I have enjoyed each of his books that I've read. The Ragamuffin Gospel, though, is the standout. If you read only one of his works, make it this one. The narrator does a fine job, though he seems to take somewhat extended pauses between sentences. This audiobook is broken up in "chapters" based on how it would fit on CDs rather than the actual book chapters. This makes it difficult to use the book in any way other than just listening straight through as though it were a novel.We're not using CDs. Fixing this would be pretty simple, and it should be done. a book for someone who admits they don't have it all together. for someone who knows they are lost and incomplete disasters muddied and bloodied from life looking for someone who gets it. What an amazing book. It rings so true for today as well. Spoiler Alert: God loves you and expects you to mess up. He knows that you will make more mistakes than you think you will. Brendan Manning tells God's story with clarity and insight. The narrator, Scott Brick, is one of my favorites. I could listen to him reading repair manuals. Thank goodness that I don't have to. God's grace is above and beyond our natural tendencies to moralise and force a conformity from believers often forgetting we're all sinners in need of grace! Essential reading for any Christian, but I personally found Philip Yancey’s title on the topic “What’s sonAmazing about Grace” much more coherent and impacting. The Ragamuffin Gospel’s style is much more idiomatic and assumes knowledge of certain scriptures. It is definitely worth the read (/listen), but if you only read one, my opinion would be to start with Philip’s. I also think Philip’s title would be much more suitable/relatable to a new/non Christian, due to the Ragamuffin’s assumed knowledge. The topic which both books cover, however, is absolutely, fundamentally, critical.